Pirate Cinema is set in a world that differs from ours slightly, though you wouldn’t perhaps know it at first. The story begins when sixteen-year-old Trent McCauley, who makes movies by remixing footage from the long-spanning career of an actor named Scot Colford, causes his family’s Internet access to be cut off. The effects this has on them are devastating: his sister, an accomplished student, now has to rely exclusively on public libraries whose opening hours have been drastically cut, and as a result she falls behind on her school work; his mother, who has mobility problems due to an injured leg, can no longer book, let alone attend, her physiotherapy session; and his father, who relies on Skype to do his job, now finds himself out of work. Trent feels deeply ashamed for having plunged his family into such a dire situation, and as a result he runs away from Bradford to London. After a difficult few months living on the streets he makes some new friends, and ends up involved with a group of young political activists. Trent and his friends become determined to fight a new set of anti-piracy laws that threaten to criminalize all manifestations of remix culture and online creativity. They know they’re fighting people with a lot more power and influence than themselves, but, whatever happens in the end, they want to make sure that at the very least the bill doesn’t slip by quietly. I hesitate to call Pirate Cinema dystopian — not because the measures Trent and his friends try to fight aren’t terrifying, but because lately the term “dystopia” seems to have become associated with somewhat improbable scenarios. What takes place in Trent’s world is all too believable, especially when you consider recently proposed acts such as PIPA and SOPA. And of course, Internet disconnection is already possible under the current Digital Economy Act. In the world of Pirate Cinema, all of this has been slightly exacerbated: laws are bought and sold by multimedia giants and the open web is a thing of the past. There are also some elements you might wish were far-fetchedly dystopian but which are actually only a few steps removed from reality, such as the prevalence of Trusted Computing snitches. It’s very rare for a blurb to actually manage to capture the essence of a book with any accuracy, but I can’t help but quote Booklist’s description of Pirate Cinema as “a counter-culture rabble rouser” — it’s just so perfectly put. Pirate Cinema is a novel that wears its political heart on its sleeve, perhaps even more so than customary for Cory Doctorow’s work (and yes, I realise that’s saying a lot). It’s an unapologetic call to action, and that’s part of what I loved about it. 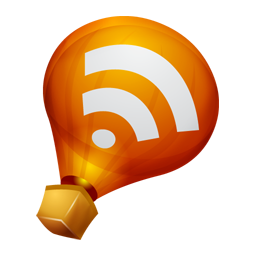 As I sat down to write this review, however, I started thinking about something I’ve discussed a few times in the past: how sometimes we use the term “preachy” as a code word for “takes a strong stance that doesn’t happen to match my own”. This is not something that would have happened to me in the case of Pirate Cinema, since Doctorow’s political sensibilities are so close to my own, but I wonder what the novel would look like to someone who doesn’t feel the way I do about the value of transformative works and the absurdity of draconian anti-piracy laws. In the end, the only conclusion I reached was that I agree with what John Carey so well says in What Good Are the Arts? : while there are legitimate gripes to be had with lack of subtlety or explicit didacticism, the idea that art should strive to be neutral makes little sense. Ethical and political engagement are a part of what keeps me coming back to literature, and Pirate Cinema (as well as Doctorow’s work in general, really) excels at this. Here are some of the ideas and topics this novel engages with: remix culture as legitimate creative; the nature of creativity; new and non-draconian models that protect intellectual labour without sending kids to jail; homelessness and disenfranchisement; inequality in the age of Digital by Default; different forms of social exclusion; the different paths that lead people to political activism; and so on. And yes, this could all have been clumsy and terribly heavy-handed, regardless of how much I sympathise or how much the themes interest me. But as per usual, Doctorow manages to make the political idea flow organically from the story, partially because he centres it on a group of teens who are in the process of figuring things out. We get to witness Trent’s political development, and along the way he grapples with ideas that we as a society are still debating today. Also, I was pleased that after the first third or so of the novel, which is exclusively focused on Trent and his male friends, Doctorow introduced a couple of smart, politically-minded and awesome ladies: Twenty-Six, a young activist that Trent meets at an illicit midnight movie showing at Highgate Cemetery, is a love interest but also an amazing character in her own right. And Cora, Trent’s little sister, surprises her brother by not having stagnated in the time since he left home. Although they follow very different paths, the two arrive at similar places when it comes to their activism and beliefs, and both are fuelled by a desire to regain control over their lives after the injustice that befell their family. Their reunion and their eventual realisation that they could learn a lot from each other was one of my favourite sections of the novel. What I love about Doctorow’s novels is that they’re simultaneously very politically aware and infused with hope. Despite all the injustices it portrays, there’s no cynicism to his writing. Pirate Cinema is about a group of disenfranchised teenagers who eventually realise that “there were actual human beings who were answerable for the misery and suffering of God knew how many people all around the world”. In other words, they realise that they can beat this — any of us can. It’s not inevitable; it hasn’t been set in stone by the Powers That Be. Our current socio-political arrangements are unfair, so we get to demand new ones. It’s as simple and as infinitely complicated as that. 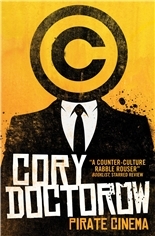 Like the rest of Cory Doctorow’s work, Pirate Cinema was released under a Creative Commons license and is available for free online. If you download and enjoy it, consider supporting his work by donating a copy to a school or library. The thing Cora said to me — They cut off the net. They’re the bullies and the bastards. — resonated in my skull for the rest of the day. Who were they? I hadn’t really thought about the people who got the laws passed that had changed my life forever — not the bigwigs at the film and record companies nor the MPs who showed up and voted to mess over even more of the voters who lived in their constituencies. When I tried to picture them, my image of them got all tangled up with all those educational copyright videos they’d made us watch in school, where big stars came on and told us how awful we all were to download their stuff without paying for it, and then they’d trot out some working stiffs — a spark, a make up artist, a set builder — who’d drone on about how hard he worked all day and how he needed to feed his kids. We’d just laugh at these — the ancient, exquisitely preserved rock star we saw getting out of a limo crying poverty; the workers who claimed that we were taking food out of their kids’ mouths by remixing videos or sharing music, when every kid I knew spent every penny he could find on music as well as downloading more for free. But now I tried to imagine the men who bought and sold MPs like they were pop songs, who put laws into production like they were summer blockbusters, and got to specify exactly what they’d like the statute book to say about the people they didn’t like. I realized that somewhere out there, there were gleaming office towers filled with posh, well-padded execs who went around in limos and black cabs, who lived in big houses and whose kids had all the money in the world, and these men had decided to ruin my family for the sake of a few extra pennies. There were actual human beings who were answerable for the misery and suffering of God knew how many people all around the world — rich bastards who thought that they alone should own our culture, that they should be able to punish you for making art without their permission. “What are you thinking about?” 26 said. She was sitting in the pub’s snug, laptop before her, earpiece screwed in. She’d been on the phone and e-mail all day to Annika, planning some kind of big event for the next day, when they were hoping that people from all over the country would descend on their MPs’ offices to complain about the Theft of Intellectual Property Bill. All kinds of groups had joined in, and volunteers were contacting long lists of members and supporters to see if they’d commit to going out. I couldn’t join in, of course: I wasn’t on the voter’s roll. I didn’t, technically, exist. Technically, the Zeroday was an abandoned building and no one lived there. I just read Little Brother this year and really liked it--I'll definitely be reading all of Doctorow's books. This one sounds very good, too. Great review. How interesting that dystopian is starting to be associated with improbable scenarios in mainstream culture, when the most effective usage of it is to examine our own culture. Like you, I wondered if others might find this one a bit preachy, but then I started to wonder if anyone in his or her right mind, as an individual, would not agree with Doctorow's arguments here. Since I don't believe corporations are people, I can't imagine a reader who doesn't agree. This is a great book, and everyone should read it. Maybe I should write about it too; it's one of the many books I read on vacation and haven't made the time to write about. I almost passed your review by, thinking immediately of the type of pirates that involve Johnny Depp & his crew. But this kind of piracy, I'm interested in! I've been passing this author by and I'm not sure why. Will immediately go on my TR list. Look forward to hear your thoughts on Wild as it was one of my favourite reads of the year so far. Heather: Little Brother probably remains my favourite, but they're all so good! The sequel, Homeland, might be a good one for you to try next. Jeanne: Oh, I hope you do review it! I'd love to read your thoughts. Okay,you spurred me to write my first review in a while--I posted a review of Pirate Cinema this evening. Thanks!